It was an extraordinary stroke of luck when in 1953 an extensive burial ground was discovered on the Heidberg, a sand dune in the border area between Liebenau and Steyerberg, Germany. Here, the population of the surrounding settlements buried their relatives in the period from the 4th to the 9th century AD. For more than thirty years, albeit intermittently, excavations have taken place there. More than 500 body and fire graves were uncovered and documented. It was only thanks to this meticulous archaeological research that it was possible to learn about the life of the inhabitants at that time. Written records from this region are not known for that period. While the burial ground has become known in professional circles throughout Germany, it remained largely unknown among the local citizens, in the region and in the rest of Lower Saxony. This should change. 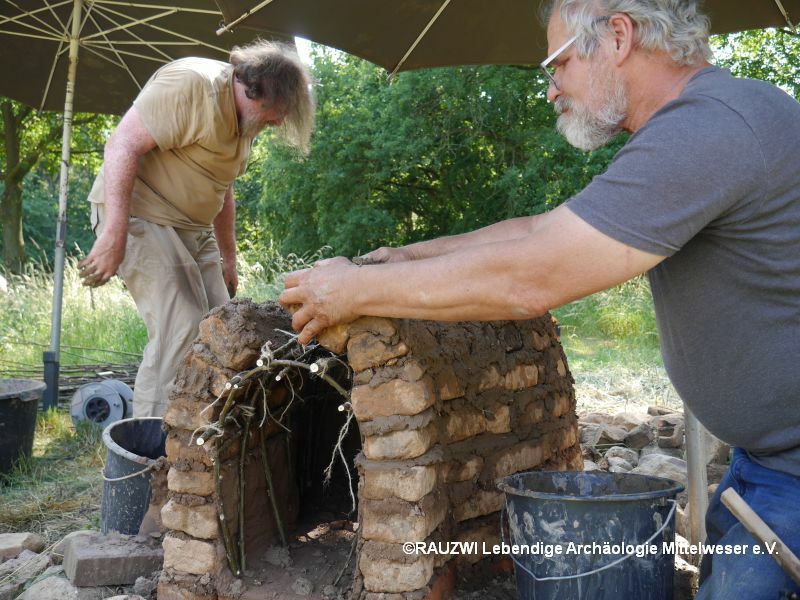 In 2014, a group of archaeologists, historians and artisans came together to make the history of the Weser region south of Nienburg known and experienced. In 2016, it was decided to found an association to better implement actions and plans. 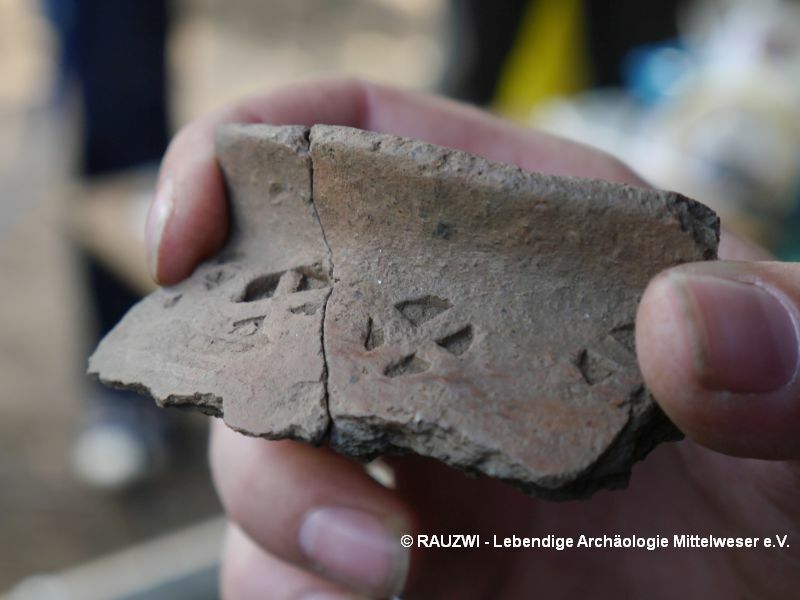 This association bears the name "RAUZWI - Living Archeology Mittelweser e.V." The working area of the association is very diverse. New excavations are carried out, lectures and seminars are organized, an open-air homestead built and much more. The efforts of Flecken Steyerberg, the velvet municipality of Liebenau and the project partners to develop the burial ground into a regionally important cultural and educational center would not have been possible without the financial help of the Klosterkammer Hannover. This is especially true for an extensive seminar program that has laid the foundation for building a broad volunteer "scene". 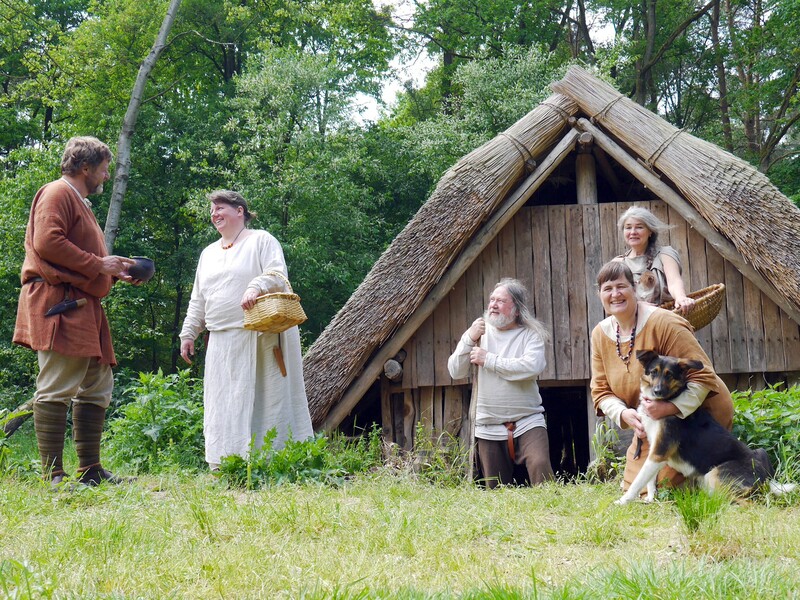 The aim is to bring this cultural heritage and cultural history closer to people and not only to preserve our old Saxon past, but also to bring it to life. Ulrich Klages, born in 1965, has been interested in the Altsachsen and its history for 12 years. Founding member of RAUZWI Living Archaeology Mittelweser e.V. and active since 2018 as secretary on the board.